Today is World Heart Day, and in case you didn’t know, cardiovascular disease continues to be the leading cause of death and disability in the world today: over 17.3 million people die from cardiovascular disease every year. Make sure you know what signs to look for and the steps you can take to prevent heart disease. Together, we can make a whole-hearted effort to end cardiovascular disease! 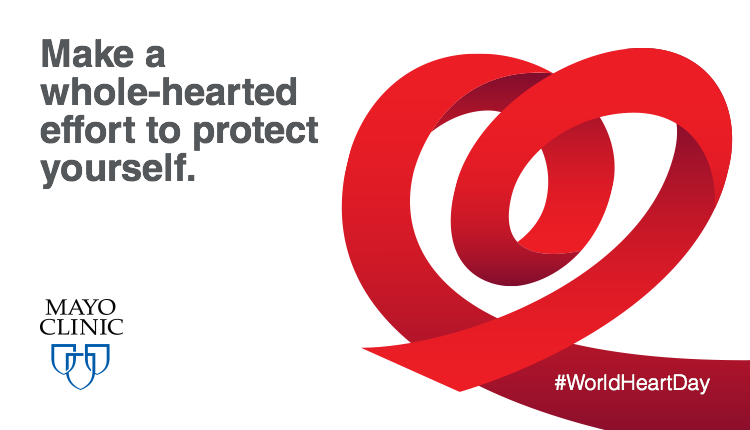 Today is World Heart Day, and in case you didn’t know, cardiovascular disease continues to be the leading cause of death and disability in the world today: over 17.3 million people die from cardiovascular disease every year.